Fresh Air! 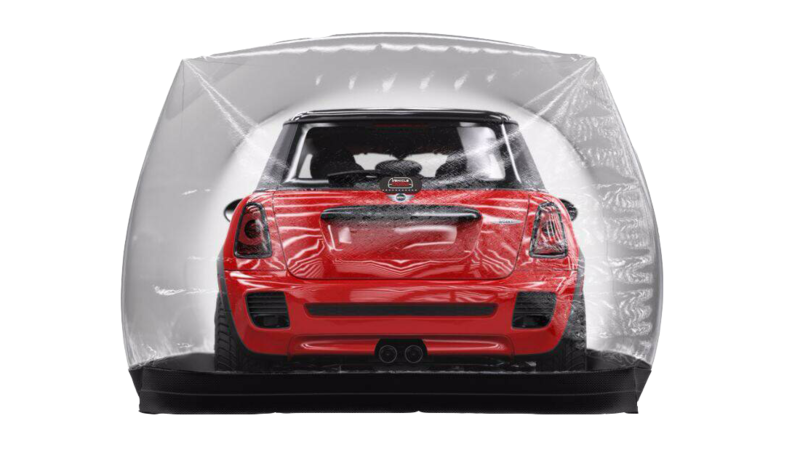 – The air circulates through the Vehicle Dome on average every 15 – 20 minutes. This stabilizes the temperature and evaporates all the moisture from the air around your prized vehicle. 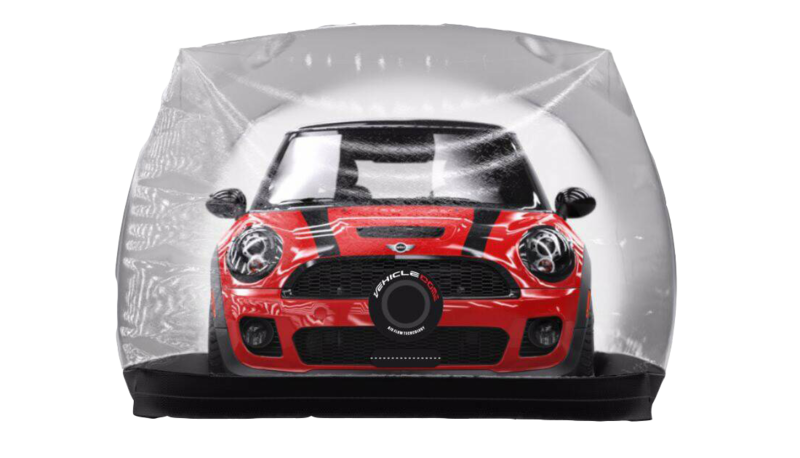 Protects your car from moisture which may cause rust, and or mould that ruin cars. 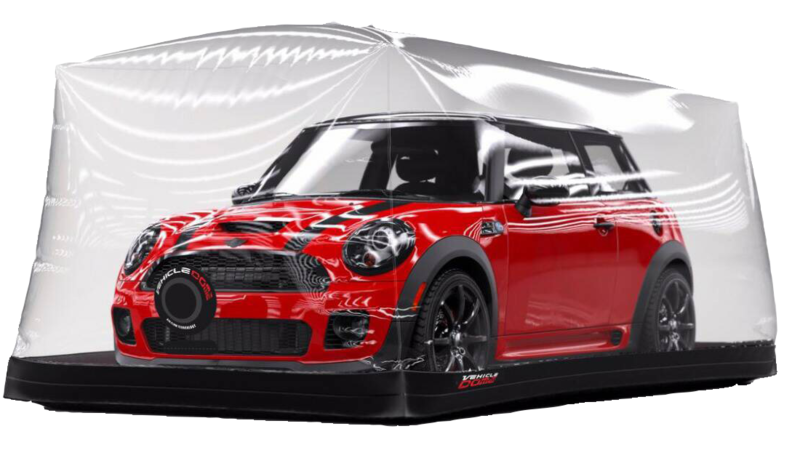 The frequency welded PVC making up the dome is made from clear inflatable 0,2 mm plastic sheet with a nylon zip and a 0.7 mm LACC base material. 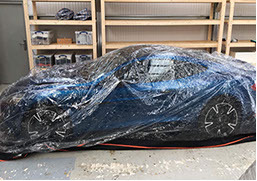 This PVC bubble will keep your Bike/Car free of dust/dirt but also safe from potential dents and damage from bicycles, ladders, brooms and other various objects that pose a threat to falling and damaging your vehicle. 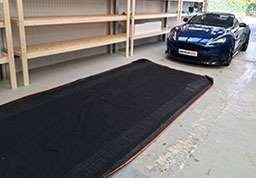 The basemat is made from LACC and was designed to be resistant to scratches, mildew from moisture, and fire retardant. 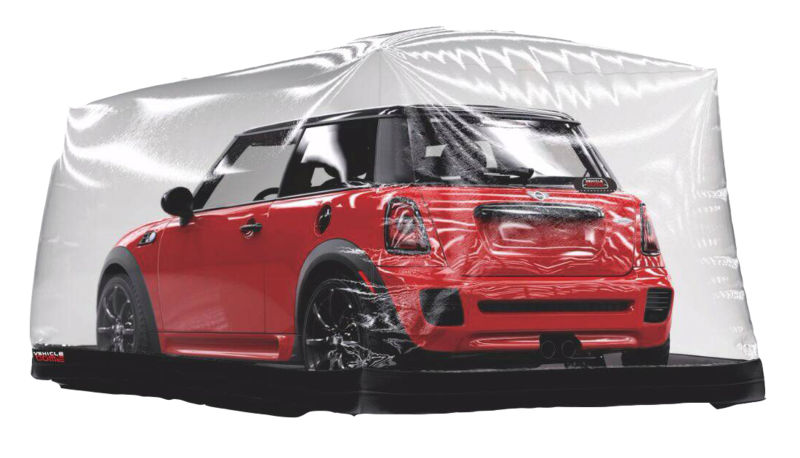 No oil, gas, or antifreeze will penetrate or damage the floor of the Vehicle Dome. The heavy-duty zipper will keep out rodents and other pests, and will also help prevent scratches. The nylon is strong enough to offer protection without being abrasive. The wonder of the whole Vehicle Dome. The fan! A simple 12-volt 150 CFM fan with high-pressure and washable filter. Electric cost to run the fan is about 5 pence a day. 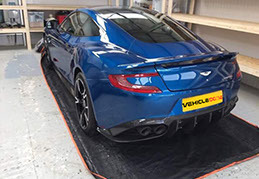 Roll out the base of your Vehicle Dome and make sure it lays flat on the ground and the surface is clean. Next, unzip the clear PVC dome from the basemat. Then fold the PVC backwards to the panel with the air intake. Drive your vehicle into the center of the basemat panel. Make sure to leave the same amount of room on all four sides. Over the top of the vehicle fold the clear dome, and connect the air intake panel to the fan. When done, connect the chord for the power supply to the provided adapter. Zip it up! Once you have zipped the dome to the base go ahead and plugin the fan either into the wall and the dome will inflate in 7 to 10 minutes. Once the dome has inflated all the way the filter needs to be placed on the air intake panel, and you are finished.